You’ve finally pressed “publish” on that new blog post at 3am after 7 coffees and a Red Bull. THIS post is going to be your big hit. You’ve nailed it. It’s the best post you’ve ever written and your pictures are epic. A month passes, and you check your email inbox again for that email from Oprah, but the only million-dollar offer you’ve received is from that Nigerian Prince who is sure you’re related. You tell everyone about your new blog post… if only they just read it they’d understand how amazing your﻿ ﻿idea is. Frustration sets in. You keep asking yourself…. Why isn’t anyone as excited about this as I am? 3 months pass… Not. A. Single. Comment. So you just keep writing more content. You try different topics. You even try a different niche! You join every social media platform that exists. You work harder and harder until you’re completely burnt out and forget why you even started a website in the first place. and ﻿what﻿ I do now to maintain a steady growth in about an ﻿﻿hour﻿﻿ per week. "Sarah’s Pinfluence Playbook is totally value for money. 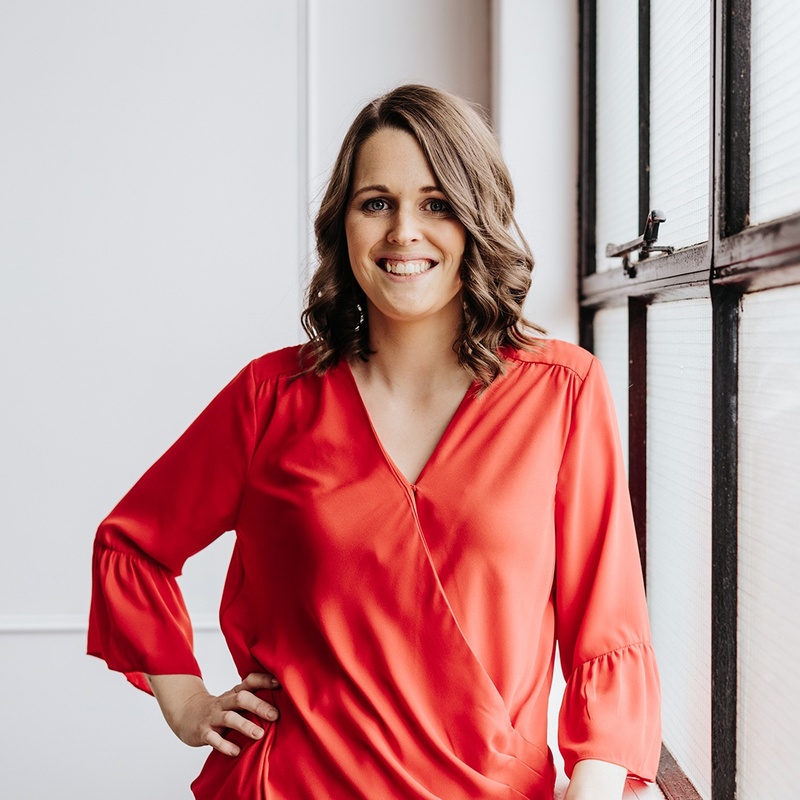 I have taken other Pinterest courses and know a lot about Pinterest, but being able to see how Sarah has used the platform to exponentially grow her traffic and audience was incredible. 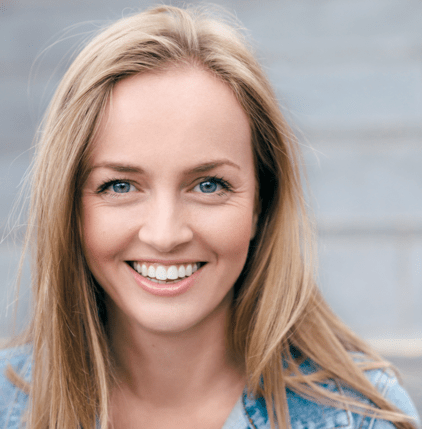 She has a fresh and approachable take, with actionable advice. I felt super inspired to revisit my Pinterest strategy with her guided advice." I spent hours each week trying to grow my social media audience and﻿ ﻿seeing very few people convert to customers. I gave away a tonne of freebies but struggled to gain anything in return. I would launch a blog post that I was super proud of, but it would never ﻿get﻿ the exposure it deserved. I would look at other bloggers and feel frustrated that I wasn’t seeing the same results. 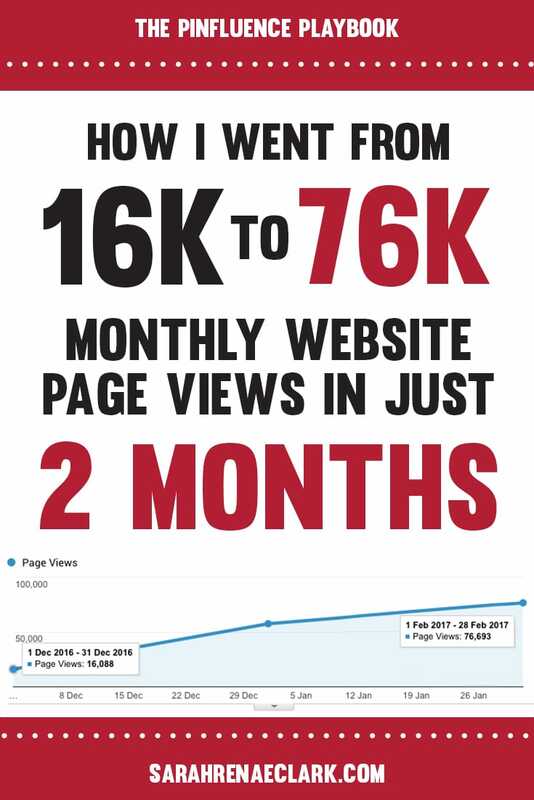 My page views would range between 6,000 to 12,000 page views per month. (After Pinterest, my pageviews range 53k to 113k). I couldn't get more than 30 shares on my blog posts. 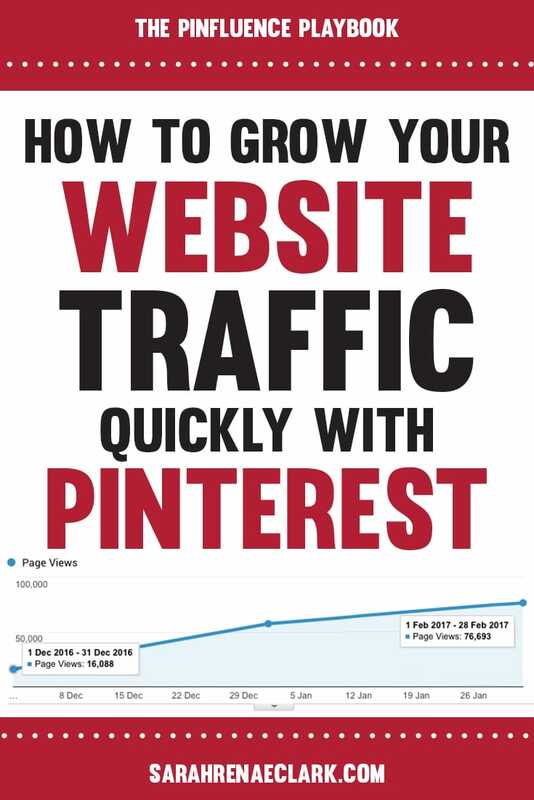 "This guide has helped me to understand not only HOW to use Pinterest but WHY. I’ve read similar articles on this topic, but never so in-depth and never conveniently all in one place. Running my own business, I didn’t think I’d have the time to do all the of work involved for Pinterest, until now. Just by following the first couple steps in this guide, the views on my business website have already increased by 92% in one week. I can’t wait to complete the rest of the steps and see how my business improves! You certainly have me as a loyal customer who is looking forward to more resources like this!" Find out why Pinterest is about to become your new secret weapon, and why it’s NOT just for collecting recipes, DIY projects or wedding ideas. Uncover 10 common mindsets that people have about Pinterest and why they are wrong, including why Pinterest is NOT just another social media platform and how Pinterest doesn’t need to take up your time. Understand the basics of Pinterest and learn about the main features, including Pins, boards, your home feed, your profile, how to find things to Pin and how to leave comments. Discover how Pinterest caters for your business and learn how to use it as an effective market research tool to find out what content your audience is looking for and gather feedback. Learn about the Pinterest algorithm and how to help your business stand out. Learn how to set up a business account or convert your personal account with step-by-step instructions. Discover how to create an effective Pinterest profile to attract your audience and increase your visibility. Learn how to get your website connected to Pinterest and how to set up widgets, social share buttons and embed hidden Pinterest images with descriptions in your blog posts to dramatically increase your website traffic and encourage your readers to share your content. What makes a great Pin? Learn how to find popular Pins for your audience and create your own quality Pins that your fans will love to share. Understand what makes a Pin stand out and how to craft the perfect descriptions. Uncover the system that helped my Facebook followers to grow from 300 to over 1200 in just two months. Learn about the benefits of group boards, Tailwind Tribes and how to find new fans quickly. This is where all your hard work will pay off. I’ll show you the step-by-step process I follow for every new blog post, resulting in thousands of shares in just a few months. Learn how to build rapid momentum and gain the exposure you need for your next blog post. 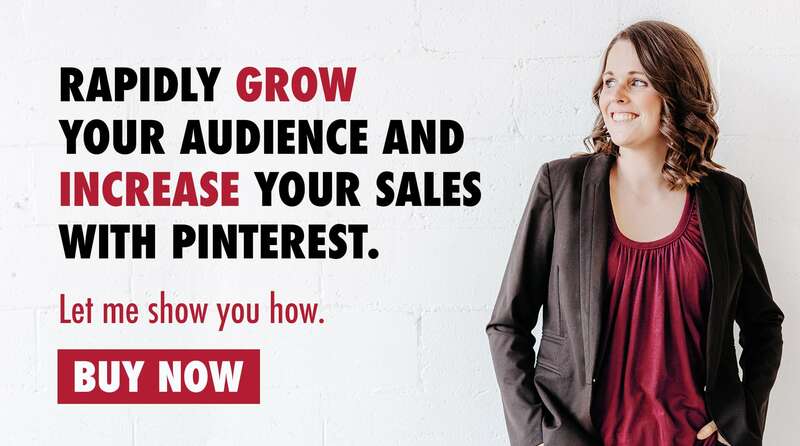 Keep the momentum growing on Pinterest in just an hour per week with Tailwind. See how I structure my schedule to gain maximum exposure for my blog posts with the least amount of effort. Measure your success with Pinterest analytics and learn how to use this data to improve your strategy and see your traffic grow. Take it a step further with detailed analytics from Google and Tailwind to see which Pins are driving the most traffic to your website. Take a look at my favorite resources for working with Pinterest, scheduling Pins, creating images and measuring analytics. I’ll also show you some of the plugins I use on my website and where to find group boards or Tailwind Tribes to join. 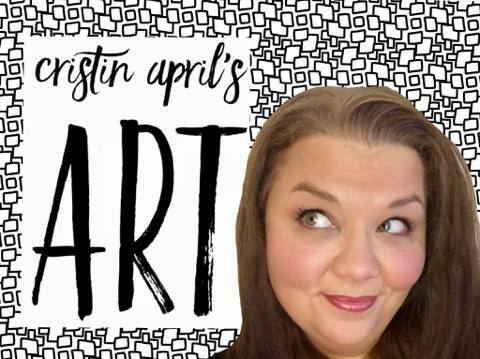 I knew Pinterest was important for my blogging business, however I wasn't sure where to start. 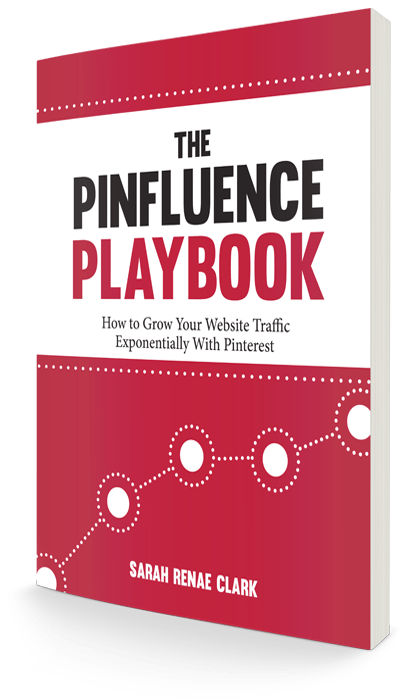 The Pinfluence Playbook has really shown me why, and most importantly HOW, to start working on my Pinterest account to build followers and grow my traffic by providing actionable steps that can be implemented immediately. I can't wait to see the impact of these steps on my blog traffic over the coming weeks and months! Yes! I'm completely confident that my book will help you succeed on Pinterest that if you implement it and don't see results, you can email me for a full refund within 60 days of the date of purchase. What format is The Pinfluence Playbook? The Pinfluence Playbook is available as an instant PDF download. The book includes a number of interactive links to help you get the navigate each lesson and get the most out of your time, so it is recommended to work through it on a computer or tablet. A printed version is not available for purchase, however the book is designed to fit a standard US Letter printer if you would like to print it yourself. Can't I just find this information online for free? Sure, you could spend the next few weeks or months searching for article after article about Pinterest and trying to find a way to make it work for you, after all – that’s what I did! But how much is your time worth? I’m offering you a tried and tested strategy, all in one place, for a tenth of the price that many courses charge for similar content. I’m confident you won’t be disappointed. I’m firstly a mom, then a creative entrepreneur. I design adult coloring books and printables and started my own website in 2016. 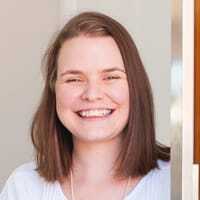 During this time, I’ve learnt everything I can about running an online business and marketing my blog. I’ve helped other artists and entrepreneurs to grow their audiences and turn their dreams into a business. I’ve seen an amazing impact on my own business through Pinterest in just a few months and I’m confident that you can see the same results if you implement my tried and tested strategies. Attract thousands of new fans to your website in just an hour per week! I’m confident that you’ll love The Pinfluence Playbook, which is why I offer a 100% money back guarantee in the first 60 days. If you implement all the strategies in this guide and don’t see any results, send me an email within 60 days of purchase for a full refund.